Updated November 3, 2016 – The Starkey S Series hearing aids, from Starkey Labs, are the company’s line of advanced, high-quality hearing aids. They allow users to hear more comfortably and effortlessly in noisy environments, and thanks to multi-core processing, the Starkey hearing aids eliminate whistling and buzzing, provide better hearing, in loud noises, better telephone compatibility, and a better transition between quiet and loud environments. Starkey S Series iQ hearing aids are available in a wide variety of styles, and each style comes equipped with a variety of advanced, innovative technology that has been specifically designed to provide users with comfortable, more natural hearing in any environment. Voice iQ technology is intended to maintain speech understanding, while reducing background noise. This noise reduction technology provides up to 20dB of background noise reduction, while instantly applying variable noise adaptation in all channels between each pause. This reduction in noise between syllables provides the user with the clearest speech possible. The technology has been proven to reduce listening effort and cognitive fatigue in users. PureWave Feedback Eliminator is an advanced technology designed to eliminate buzzing and whistling. This technology delivers a fast response to more complex feedback (whistling), while also widening the fitting ranges of the hearing aids. 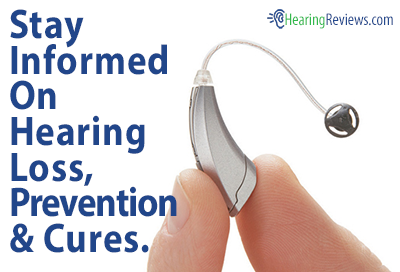 This technology helps make open ear fittings an option for more patients. T2 Remote technology lets users control his or her hearing aid discreetly, from any touch-tone phone, or cell phone. This helps users avoid the need to carry extra hardware with them at all times. The T2 Remote technology instantly classifies the touch-tone or cell phone’s signal, and automatically adjusts the hearing aid’s memory or volume. This can be done from any touch-tone phone. Sweep Technology eliminates the tiny buttons and dials of traditional hearing aids, and replaces them with an intuitive touch surface. This allows users to make volume or memory adjustments with the simple sweep, or touch, of his or her finger. Automatic Telephone Solutions (ATS) detects the user’s phone use automatically, adjusting the hearing aid’s acoustic frequency response to its optimal level for telephone conversations. This technology also helps to eliminate unwanted feedback. Music and Television Processing technology provides users with optimal listening with numerous music genre settings to help maximize his or her sound quality and listening enjoyment. A new memory program is also featured on the hearing aid to deliver optimal performance while watching television. Advanced HydraShield technology provides each S Series iQ hearing aid with 100% protection from water, wax, humidity, perspiration, and corrosion both inside of the hearing aid, and on the outside. Intuitive Features provide users with vocal indicators that alert the user of the status of his of her hearing aid and its battery, as well as when it is time to make an appointment. Users also have the option of choosing a male, or a female voice, in a variety of different languages. S Series iQ hearing aids are available in numerous styles, including Behind-The-Ear (BTE), mini Behind-The-Ear (mini BTE), Power Behind-The-Ear (Power BTE), Receiver-In-Canal (RIC), Receiver-in-Canal Advanced Power (RIC AP), Invisible-In-The-Canal (IIC), Completely-In-Canal (CIC), In-The-Canal (ITC), and In-The-Ear (ITE). The series is also available in many different colors, so users can match his or her skin tone or hair color, making the devices as discreet as they wish. 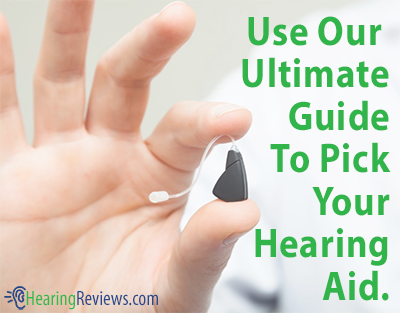 This isn’t the only model we have, see the other Starkey Hearing Aids Reviews. Starkey iQ9 hearing aids. Unsatisfactory. Poor quality control and features did not work as advertised. Paid 2250 each from an audiogist. First quit 5 blocks from office. Was replaced but second quit in 6 months and was refused warrantee. Junk…do not buy. I too bought Starkey 3-1/2 yrs ago and they have never worked right. Programs for auditorium and restaurant never did what they were suppose to do. My audiologist and I have gone back and forth trying to get these to work right to no avail and after reading so many poor reviews online, I have come to the conclusion that it has to be the product and not the audiologist’s fault. All these audiologists can’t be programming these wrong and, if they are, then Starkey needs to personally train them or make their product easier to program. I have had Starkey hearing aids for about 12 years and the S series aids I’ve used for five years have worked well. The only problem I’ve had is when I switched from a regular old flip phone style cell phone to an iphone. WIth the iphone I can’t get the hearing aid volume to increase so I have to borrow someone else’s cell phone when I need to increase volume. As my natural hearing fades more and more it is becoming frustrating not being able to hear discussions in crowded rooms, lyrics in concerts and dramatic shows, and comments from speakers when there is any ambient noise around me. I’m due for new hearing aids in a few months and I’m hoping that Starkey has improved technology to the point that I get some assistance with this.